﻿ Best Price on Toby's Resort in Montego Bay + Reviews! Toby’s Resort offers rooms with a private balcony featuring either poolside or garden views. This resort features 2 outdoor salt water pools. Enjoy the Water Fall Pool and the The Baha Pool and ask for a drink at one of the two bars. Local and international cuisines are served in Toby’s Good Eats Restaurant. Free Wi-Fi is available in the restaurant. Sangster International Airport is less than a 5-minute drive away. The famous clear waters of Doctor’s Cave Beach and Cornwall Beach are within 2.5 mi of the resort. Rose Hall, a historic Georgian mansion, is a 10-minute drive away. Each air conditioned and spacious room has a private bathroom with a selection of toiletries. Upon check-in photo identification and a credit card is required. All special requests are subject to availability upon check-in. Special requests cannot be guaranteed and may incur additional charges. 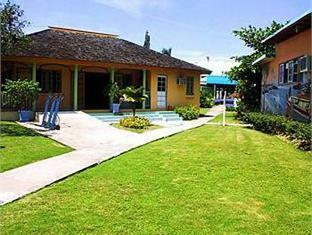 I stayed at Toby's with a group for 2 nights in July for the Sumfest music festival. 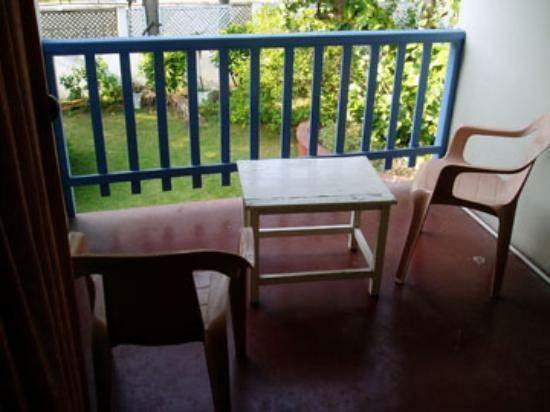 The location of the resort is super convenient, right near the hip strip and the beach. The resort has a nice relaxed vibe, the pool is a great spot to hang out. 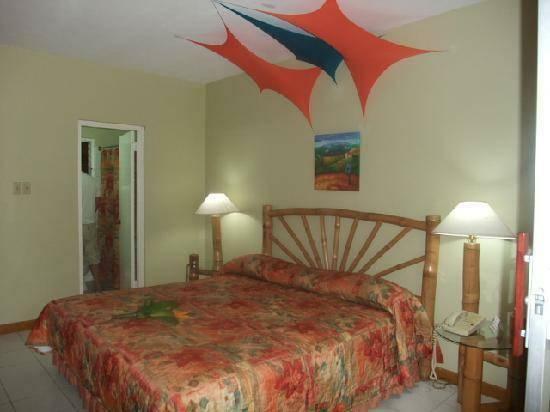 The rooms are clean and comfortable and overall great value for money. There was no best features of the hotel. The room needs a lot of remodeling. I would have to say that this hotel is below average. I don't think that I would stay there again. Only stayed one night but the owner was really nice and found me a safe way to get to my next destination. The breakfast was great and the service was fast and friendly. Great location for shopping and resturants. Really enjoyed our stay here very good standard of accomodation and service for the amoutn we paid. Would definetly stay here again. we ordered food in the dining area..it was such poor quality and the service so slow we almost gave up.. i ordered f.ex a prawn cocktail..i got a few very dry iceberg lettuce leaves spread on a small plate with 5 dry prawns lying around in a circle... we ordered a dinner one night but we just hated the chicken..it was dry and didn't taste of jerk seasoning at all..we asked for some pepper sauce so we could eat it... breakfast was just about okay...expensive for what we got.. The hotel was located conveniently close to two beaches and just a short walk from the "Hip Strip." There was little privacy at the hotel. Also, it was inconvenient to call out and hard to get good information for those looking to explore Montego Bay beyond the Hip Strip. Toby's had great grounds that were beautifully kept by the ground keepers and had over all friendly service. The only draw back was that there was little privacy from both the hotel staff as well as the guests. Though the located was perfect for us, it could a bit too far from the "Hip Strip" if you were interested in spending the majority of your time in that area. Overall, I recommend it as a good value for the price. Toby's is priced well and has a nice outdoor pool with bar service. No one used the pool that I noticed while we were there or the bar except us. There were not many people registered during our stay Oct. 3-7, 2009.
the area is pretty shadey. We were told that it was safe by the hotel staff but there were several groups of men hanging out in doorways and we believe we saw a prostitue enter a car on the corner of the hotel one evening. We decided to go back to our room rather than take the chance of the late night stroll. During the day it wasn't much better. The locals will follow you and hound you to go to this or that store. They pressue you to take a cab. The nearby shopping known as the Hip Strip is very run down and the prices are very high. The walk to Margaretaville was scarey. We took a cab back even though it was only a four block walk. If you want to buy rum you're better off buying it at the airport. The hotel itself was nice enough for the money we spent- but the surrounding area was not somewhere I would want to be ever again. We went to Jamaica for a wedding and the resort the wedding was held was all inclusive accommodations and fabulous. But because of the extremely poor economy plaguing Jamaica, it is best to stay in an all inclusive if you want to travel there or make sure the area you are staying in is geared toward the tourist trade, which is definitely not Toby's. From the arrival at Toby's I suspected Iwould enjoy the facility. The room was clean, spacious enough for two people and the air conditioning worked perfectly. The staff was very friendly and accomodating. The food was ok but could use a little more variety and "pizzaz". The location was fine and we had access to the ocean in about a four minute walk. The area offered some decent local restaurant's and the proximity to the "HIP STRIP" was a plus. All things considered I would go back to Toby's. If they could liven up their menu, and offer an all inclusive package, (food, drinks, activities, island tours etc...) I think it would be more attractive as a destination rather than just a resort. Toby's is a small hotel and undoubtedly a budget option. There are 2 blocks - we stayed in the closest one - the further away one may be a little better. The rooms are basic, not particularly clean and the bed was probably the most uncomfortable I've ever slept in. The staff were OK - not as friendly as I was expecting. We had lunch in the hotel but the food wasn't great. It was nice to have the pool but again, it wasn't that clean. It's an OK option - I was quite glad to check out in the morning though! Rento, ystavallinen ja asiakkaat toiveet usein huomioiva. Oli taas, ties kuinka monennen kerran kiva olla taalla. Joskus vahan hidas check-inn mutta no problem!